Kids Day Out programs are a wonderful way to introduce your little ones to school. Most are set up like preschools, but offer the ability to enroll throughout the year (provided classes are not full). Many offer 1–5 day per week options. Classrooms are often divided based on the child’s age, with some offering care for infants, and others starting around two years old (and, no, being potty trained is not a “must” at that young age). These programs end when children reach school age. Check out some of these Kids Day Out programs near you, build some “me time” back into your life, and provide your child a fun, educational experience! This article is sponsored by Double J Farm, who offers a Junior Farmer Program for ages 3-6 years old. 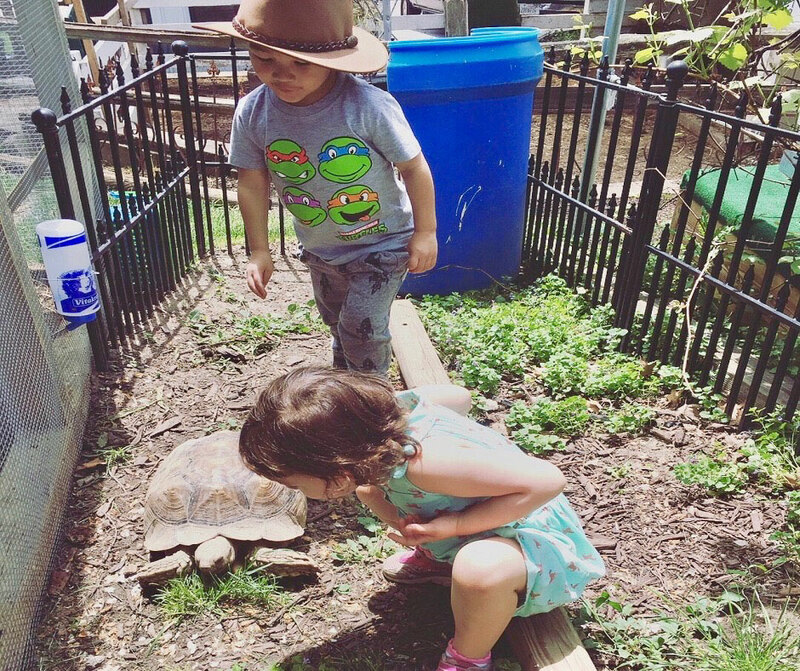 A pre-school age enrichment program for kids who love animals and nature! At Double J Farm, our Junior Farmers learn through hands-on, nature-based experiences that address the developmental needs of children ages 3 to 6 as they explore the plant life and animals at our farm. Your animal lover or critter extraordinaire will want to join us for this unique, down in the dirt learning experience that will last a lifetime! Every week has its own theme, so your child will learn new concepts all year long! These themes guide our educational activities and include a variety of animal, agricultural, science, and nature topics. Rain or shine, this class is one your child will want to come back every week for! Did we forget your favorite Kids’ Day Out program? Would you recommend one of these programs to other parents? Please comment below! Don’t forget to check out our big list of preschools and daycares, too. Kristen is a Burbank native who settled with her family in New Lenox in 2016. She loves her new neighborhood and could not be happier with her new home. Kristen and her husband have three amazing children – two daughters, ages five years and four months, and a two year-old son. She also has a furry shih-tzu baby, who is 10 years old. The kids are active and energetic, but Kristen enjoys providing a mix of structured play/activities and downtime at home. She is passionate about keeping her family healthy and happy. During the winter, Kristen likes to go sledding and skating – as well as experiencing indoor play spaces. During the summer, she loves getting outside with her family – playgrounds, festivals, fairs, picnicking, bike riding, and trips to the zoo. Her kids love helping in the kitchen, and Kristen enjoys cooking and baking with them! Be the first to comment on "Kids Day Out Programs in Chicago’s West and Southwest Suburbs"